Mikes Corner is about the work of Scripture Union in Africa. Mikes Corner, yes really Mike's Corner! Mikes Corner is a relatively new addition to the Bernard Preston website. From his not-so-cosy corner I've invited Mike Smallbones to describe his work with Scripture Union which operates in about 44 countries in Africa, but in actual fact only about 28 are really viable, the rest really only being a “presence”. SU has been active for a period of time spanning nearly forty years amongst the children of Africa. Mike is also a bookworm, so there will be a section on thought-provoking books for the Christian. Mikes corner doesn't shy away from difficult and controversial books, like this one by Brian McLaren. He finds it stimulating to be challenged to THINK. And free to disagree. A NEW KIND OF CHRISTIANITY by Brian McLaren. Mike's thoughts today will reflect on the importance of parental relationships is the life of a child. Read more about Fathers and Sons. Mike's second review is of a new little book that may help to make some sense of what is almost certainly baffling us all concerning what is happening in the Church world wide. Tracing the Church's history through the great changes that occur every 500 years or so ... read more about The Great Emergence by Phyllis Tickle. This review from Mikes Corner makes me want to buy this book. Bible study is not about learning ABOUT GOD, facts and doctrines, but KNOWING GOD. Yes, isn't that what we all want? More spirituality, less religion? Mike's responsibility is now is to train the staff of Scripture Union in 44 African countries to fulfil what they believe is their God-given vision. Mike Smallbones Schedule for the first months of 2010. 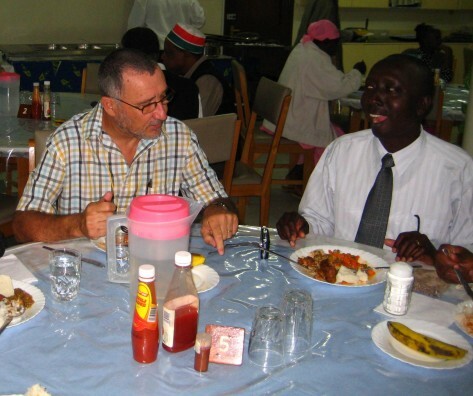 Here a photo from Mike recent trip (November 2009) to Kenya and Uganda. The so-called SFS group: SHAPING FOR SERVICE. "Children and youth, following Jesus, filled with hope and transforming the families and nations of Africa". I had intended to be a teacher – history, and majored in History and Psychology, at Natal University in Durban. But while studying I had a very strong feeling that my destiny lay elsewhere, and that God was calling me to be and do something different. At the time I did know what that was to be. It soon became apparent, however, that it was to be serving children and youth with Scripture Union in South Africa. After a year’s theological study, I started with SU in Cape Town in 1 January 1970. I met a lovely lady, Elaine, some years previously through Scripture Union, and we were married in January 1971. Elaine is a high school teacher of mathematics. Believe it or not, Elaine loves teaching and loves maths! She has been an enormous support to me and has fully supported my calling. We have two children, Marion and Gareth, both now married. At the time of writing this, we have one grandchild, the delight of our lives and another on the way. At the end of this year I will have completed 40 years of service with Scripture Union. These years have been enormously satisfying and fulfilling as well as being at times very challenging. From time to time I receive emails from people I have not heard of for many years, some whom I had forgotten about, who were once children or young people at a camp I ran or school Christian groups I had something to do with, thanking me for some input I made into their lives those many years ago. It is letters like these that cause me to thank God for the privilege I have had in serving Him amongst young people and made all the hardships worthwhile. MIKE SMALLBONES, who is he? Six years ago, when I was approaching the retiring age for Scripture Union South Africa, I had a strong feeling that my “career” was not over, yet had no indication of what I was to do. A friend, once my secretary, encouraged me to attend a Christian Retreat at the church where her husband was the rector. 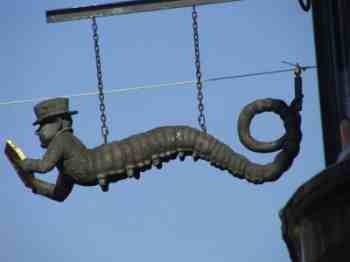 I went, rather reluctantly, but also feeling the need for “something”! The “something” I received was just amazing! If I ever doubted God, I had no reason after these 4 days. The message which came through so clearly to me was simply this: “Your time of ministry is not over”. This was followed soon after by an invitation after an interview to take up the position of Children’s Ministry Coordinator with Scripture Union Africa. This would mean a physical move to Nairobi in Kenya where the Africa Regional Office for SUA was situated. Elaine had said many times (as I think many wives do), that she was never moving again! When I hesitantly told her that about this invitation, she immediately said that I MUST take it and that she was ready to move! If I needed any further confirmation from the Lord, this was it. And so on 1 April 2004, we left the rural life we were leading just outside the beautiful village of Underberg in the Southern Drakensberg mountain regions of South Africa for Nairobi, a big, busy, dirty, city with the biggest slums in Africa housing 70% of its population. The contrast could not have been greater. Our greatest adventure had begun! 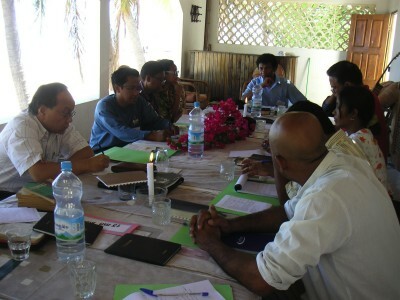 My task in Scripture Union Africa was initially to coordinate and resource the Children’s ministry in Africa. SU operates in about 30 countries in Africa and I found that many of the staff had had little or no training for any of the tasks they were expected to perform. My career with Scripture Union Africa had given me experience in just about all sections of SU work, from administration and financial matters to various ministry activities like running camps, leading Bible Studies etc. Training has now become my main concern and my role was changed to include this officially. My time has been taken up with preparing training materials as well as training staff myself and training others to train. 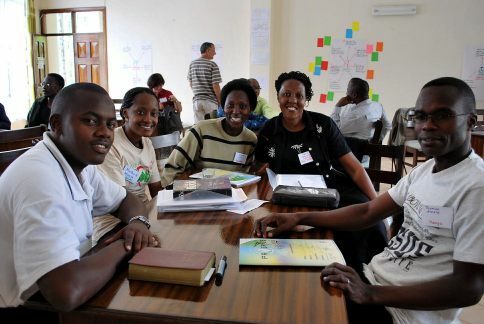 Together with the International Scripture Union team, I have been involved in running a Pilot Training Course for selected SU Africa staff in Nairobi in November 2009. This is includes a Training of Trainers (ToT) programme as well, as we hope to have this course repeated across the continent, in French and English. 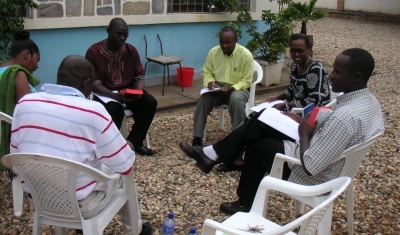 This might include helping Scripture Union personnel with anything from personal time management to grappling with theological and biblical concepts, trying to make sense of them in various African contexts. 28 September – 3 October: Doing nothing at Scottburgh Caravan Park! 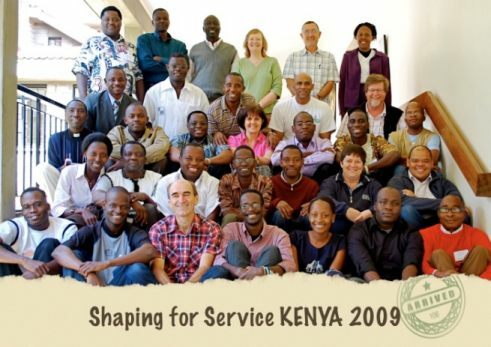 12-26 November 2009: Shaping for Service, Nairobi. Please pray for these training opportunities. It is a real privilege to be able to contribute to the ministry in these countries in this way. The purpose is generally not to tell people how to do the job, but rather to equip them with the skills and confidence to communicate the Good News of the Kingdom of God in the best and the most culturally appropriate and relevant way. One of the other areas I have been especially involved in is trying to assist our staff to remain at the cutting edge of ministry to children and young people in Africa. It is all too easy to do what has always been done and not really notice that things have changed! Through various exercises we try to identify the “big issues” affecting the development of children and youth in the countries where we work. How do we be relevant in our approach and the “packaging” of the timeless message of Jesus? Releasing young staff to use their creativity to prayerfully come up with new and dynamic programmes to reach those who need to experience good news and the life which Jesus came to bring. So far I have visited 22 countries in Africa. Some of them are tough places to visit! The challenges presented by the strange food, poor water supplies, erratic electricity, non-existent sanitation, the constant noise from traffic and people are at times very real! Thankfully I have not succumbed to any serious bugs. As I also visit francophone countries, I have to work through interpreters, which is quite another kind of challenge. For family reasons mostly related to widowed and very elderly parents, Elaine and I decided to move back to SA after 4 ½ years in Nairobi, but I would complete my contract term based in South Africa. Go from Mikes Corner to Accept One Another. Chiropractic-Help.com and Bernard-Preston.com send out a joint monthly newsletter. It covers an overview of a health topic (this last month’s Issue #14 Hip and Groin pain), always a nutritional corner (Cholesterol /Statins and aching legs), and a piece from Bernard Preston.